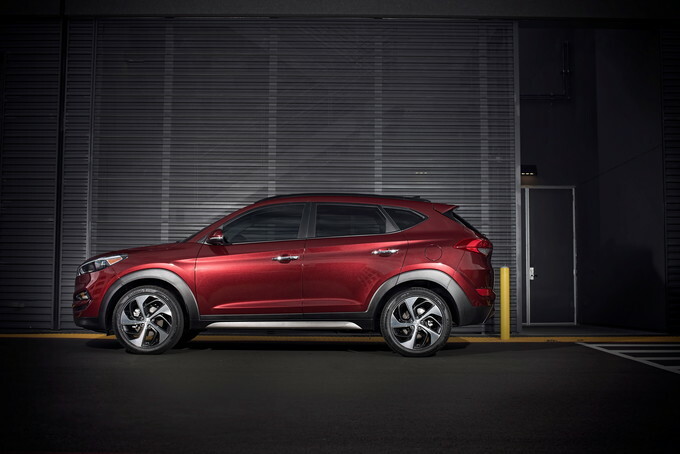 See used Hyundai Tucson listings in your area. 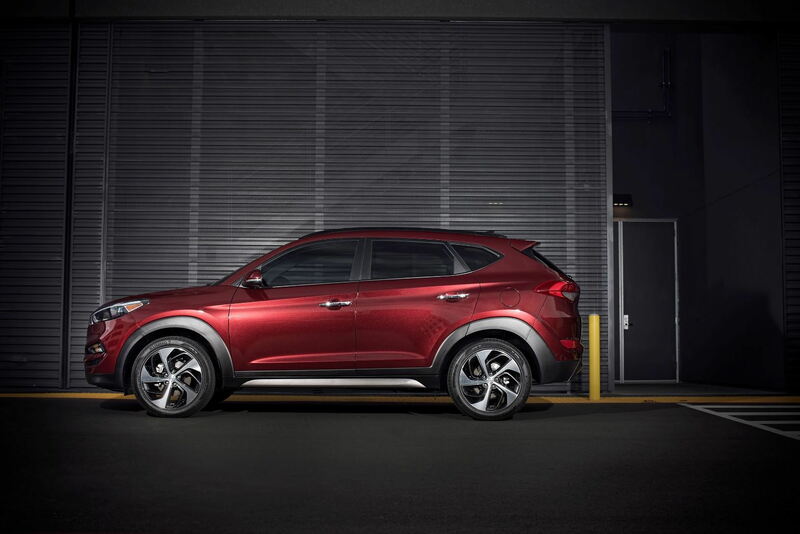 Improved inside and out, Hyundaiâs all-new 2016 Tucson makes great strides in distinguishing itself in a crowded compact crossover segment. 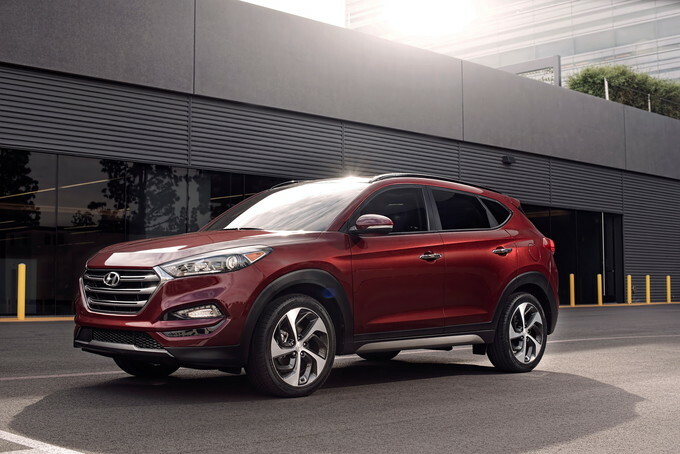 Improved inside and out, Hyundai's all-new 2016 Tucson makes great strides in distinguishing itself in a crowded compact crossover segment. Pricing for the all-new 2016 Tucson SE starts at $22,700. The base all-wheel drive SE Popular model starts at $24,850. Those looking for the all-new 1.6-liter turbo can opt for the Eco model (FWD $24,150, AWD $25,550), the 19-inch wheel clad Sport (FWD $26,150, AWD $27,550), nicely equipped Limited (FWD $29,900, AWD $31,300) or the Limited Ultimate (FWD $32,650, AWD $34,050). Prices do not include an $895 destination charge. 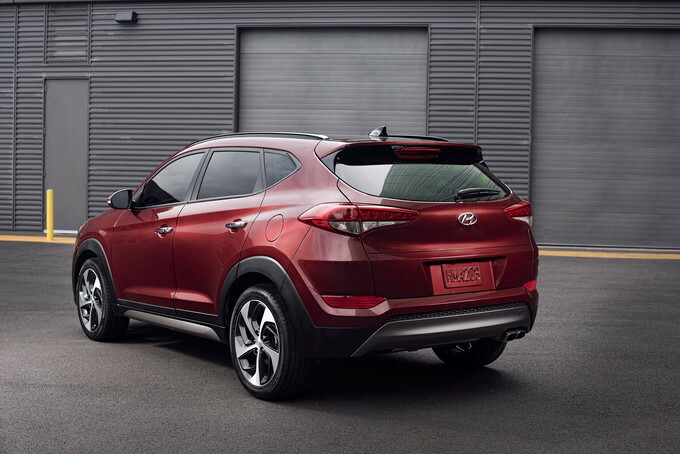 All models include Hyundai’s 5-year/60,000 fully transferable new vehicle warranty, Hyundai’s 10-year/100,000-mile powertrain limited warranty and five years of complimentary roadside assistance. The Tucson’s base powertrain is a slightly more efficient version of the currently offered 2-liter direct-injected four-cylinder providing 164 horsepower and 151 pound-feet of torque when coupled with a standard six-speed automatic transmission. Tweaks to the transmission's design gives the front-wheel drive model a one mpg advantage over the 2015 model at 23 city, 31 highway and 26 combined mpg. The real news for 2016 is a new 1.6-liter turbocharged direct-injected four-cylinder that creates 175 horsepower and 195 pound-feet of torque found in the Eco, Sport, and Limited models. Full torque hits at 1,500 rpm and hangs onto that number until it revs to 4,500 rpm, which means that you almost instantly reach full torque at any point when you are accelerating. Equally newsworthy is Hyundai’s choice to attach a first-in-segment seven-speed EcoShift dual-clutch transmission (DCT) to the tiny turbocharged engine. The pair deliver a driving sensation that belies displacement and fuel economy numbers. Tucson’s Eco FWD model achieves 26 city, 33 highway, and 29 combined mpg. Sport and Limited FWD models gain 19-inch wheels but lose fuel economy at 25 mpg city, 30 mpg highway, and 27 mpg combined. Hyundai also increased the fuel tank by 1.1 gallons for extra range and less time at the pump. Handling is also greatly improved. The standard leather-wrapped steering wheel is attached to a new motor-driven power steering system that is built from lightweight rigid aluminum. The new system reduces friction by more than 20 percent. My time behind the wheel revealed a compliant, easy-to-drive crossover. There was no learning curve -- the Tucson welcomed me as a driver and encouraged me to drive to my heart’s content. The increased wheelbase and width add up to enhanced driving stability and better handling response. The completely overhauled suspension is 20% stiffer than outgoing models. 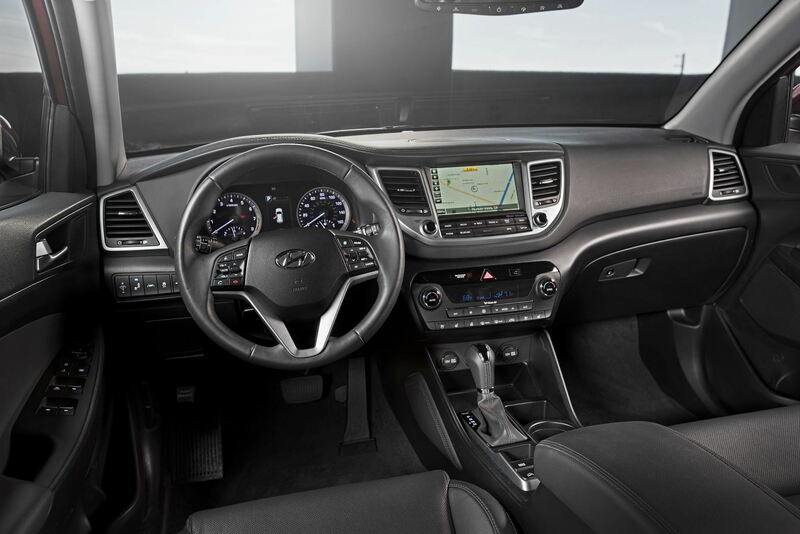 The improvements equate to a quieter ride that helps the Tucson shine in a crowded segment. While the 195-horsepower 1.6-liter turbo is certainly impressive for its size, full throttle acceleration is less than inspiring. Towing capacity is limited to only 1,000 pounds, or 1,500 pounds with trailer brakes. 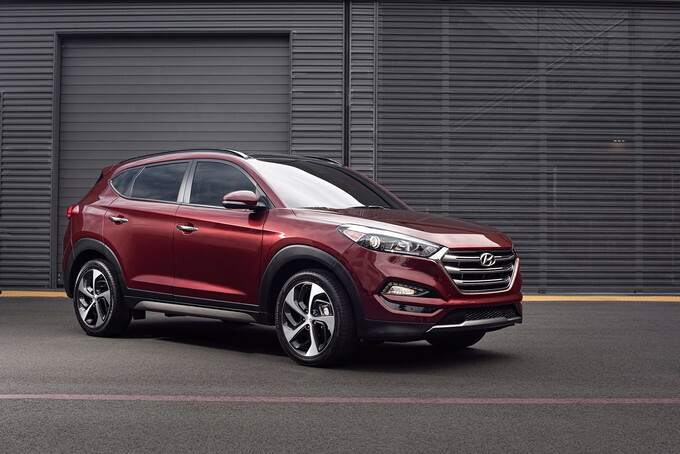 Learning from the short-comings of the previous model, the new Tucson is three inches longer and more than an inch wider, which equates to greater interior volume and more than five cubic feet of additional cargo space. 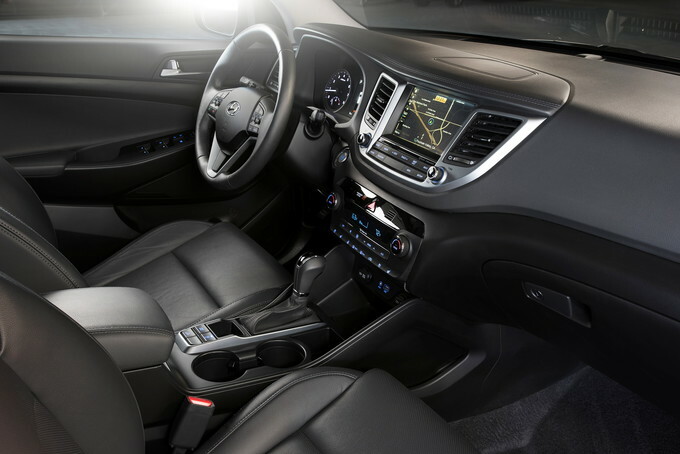 The interior moves upscale by refining the instrumentation and upgrading touch points with premium soft-touch materials, especially in the higher trims levels. 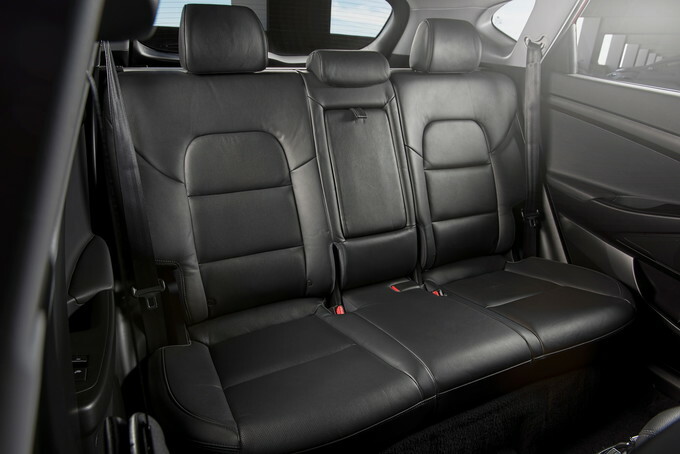 Lower trim levels are plagued with an abundance of hard touch plastics. Cargo space, while improved for 2016, still falls short of many direct competitors. Hyundai has continually surprised the auto industry, and more importantly the consumer, by offering game-changing safety technology at a reasonable price. 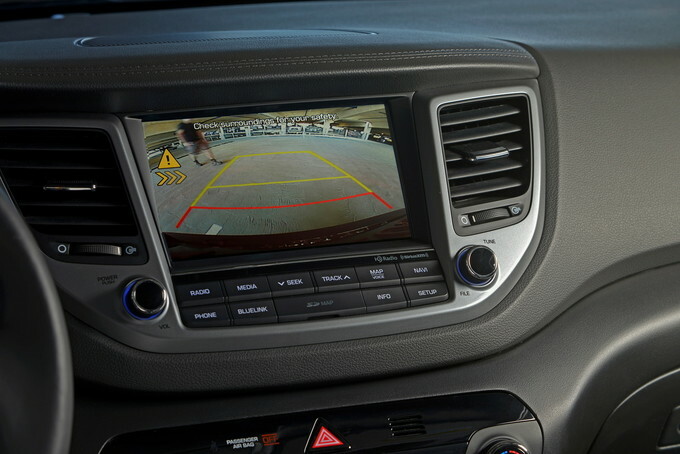 New for 2016, along with the standard rearview camera, the Tucson can be equipped with autonomous emergency braking with pedestrian detection, a lane departure warning system, blind spot detection, rear cross-traffic alert, lane change assist, and backup warning sensors. Cynics may argue that this much technology is excessive and unnecessary, but my time spent in vehicles so equipped has proven the opposite. Most of the time the systems are superfluous, they are only confirming what I have already observed. However, occasionally -- especially in crowded shopping center parking lots -- the safety systems alert me of potential fender-bending-paint-scraping-pedestrian bumping incidents that I would otherwise be unaware of. Properly equipped, the Tucson can see things that you cannot, requires no thanks and doesn’t dish out any guilt trips in the process. In the majority of driving situations, the Tucson feels up to the job, even eager to please. However, the size of the vehicle seems to overwhelm the tiny turbo engine in full-throttle situations. Driving enthusiasts will likely find the Tucson’s powertrain a little underwhelming and those looking for a vehicle to tow will be better served by some of the Tucson’s competitors. 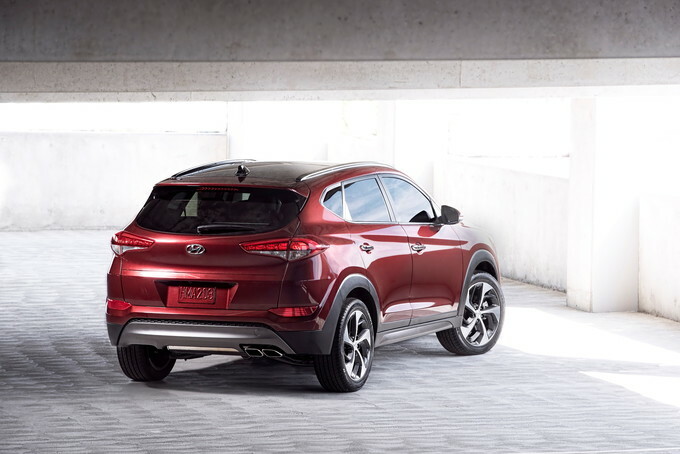 However, Hyundai’s newest compact crossover offers a compliant, comfortable ride while achieving decent fuel mileage and gets lots of extra credit for features, style and finesse.